The Tuesday Tussle; the biggest illustrators squaring off against pop's biggest icons - icons you never thought they'd touch. 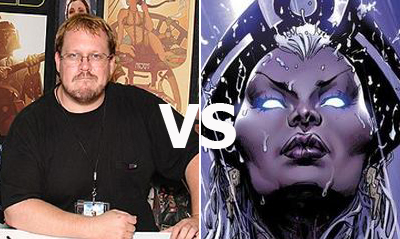 This week the man who made fans worldwide say 'I buy Wonder Woman for the covers', Adam Hughes, tackles Marvel's main maiden; Storm. Fight! WINNER: Storm. 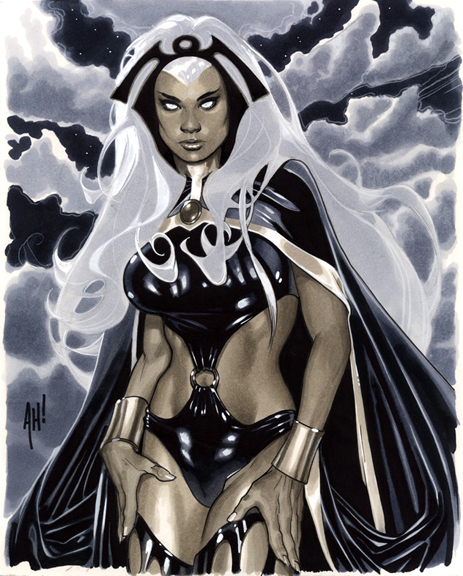 It's easy to make Ororo look like a force of nature with winds raging and lightning falling, but here Adams takes a gentle pose and uses softer, more subtle ways to suggest this is still one lady you definitely don't want to cross! For more art that will make you say 'AH! ', click the jump. AH! absolutely one of the best cover artists of all time. especially when it comes to illustrating women! Agree Dave, 110%. Plus who doesn't like Storm?